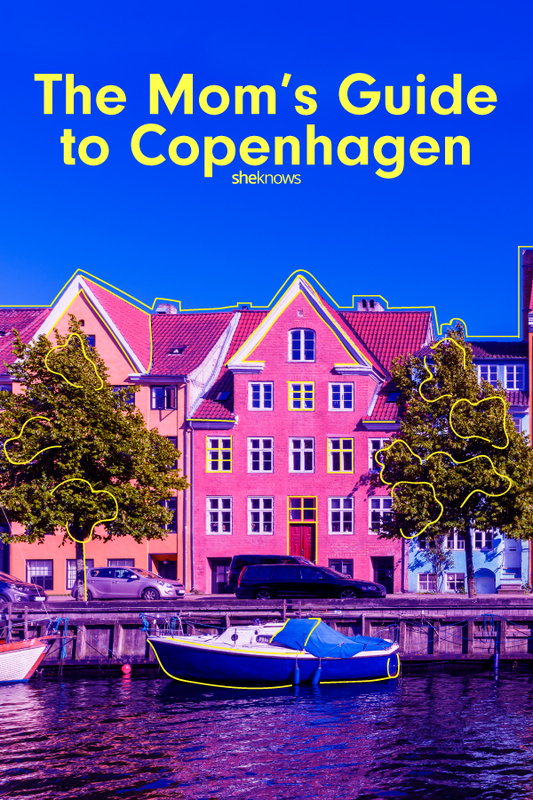 Pint-size Copenhagen is a great city to visit as a family. Known for its modern design pedigree and literary connections — local children’s writer Hans Christian Andersen is still much celebrated in the city today — Copenhagen can feel like a fairy tale, especially when you’re strolling around the cobbled streets in summer watching roses climb house walls. So set your imagination alight on this trip with a fun mix of old and new the whole family will enjoy. One thing you need to know right off the bat is that here, bikes are more important than cars. Look both ways before crossing the road, and then look again; you don’t want to incur the wrath of an angry cyclist! Or better yet, make like a Dane and hire a bike for your stay. Throw the kids in a cargo bike (I’d recommend an electric one) and pedal around this bijou city so you can go at your own pace — and be sure not to miss pretty street corners, colorful graffiti and playgrounds along the way. You have to get down with the Viking spirit at least once while you’re in town. For my family, that means getting into the water. On Islands Brygge in the heart of the city, there is a floating harbor swimming pool that’s perfect in the summer. The water is really clean, and everybody takes their kids there to paddle and splash about. (I’d be lying if I said it was actually warm, but it can be refreshing on a summer day.) Older kids love to jump off the platform, and it’s a Danish design fix for you too; the Harbour Baths were designed by superstar Danish architects, the Bjarke Ingels Group. The added fairy tale element here is that a swim in the harbor makes you feel like you’re Andersen’s Little Mermaid. And if you want to see her statue, which might be one of the only true “sights” of the city, cycle up to Langelinie and see her perched on the rocks. Warning: Not a fun cycle on a windy day. Yes, Copenhagen has a beach, which you can easily reach by public transportation from the city center. 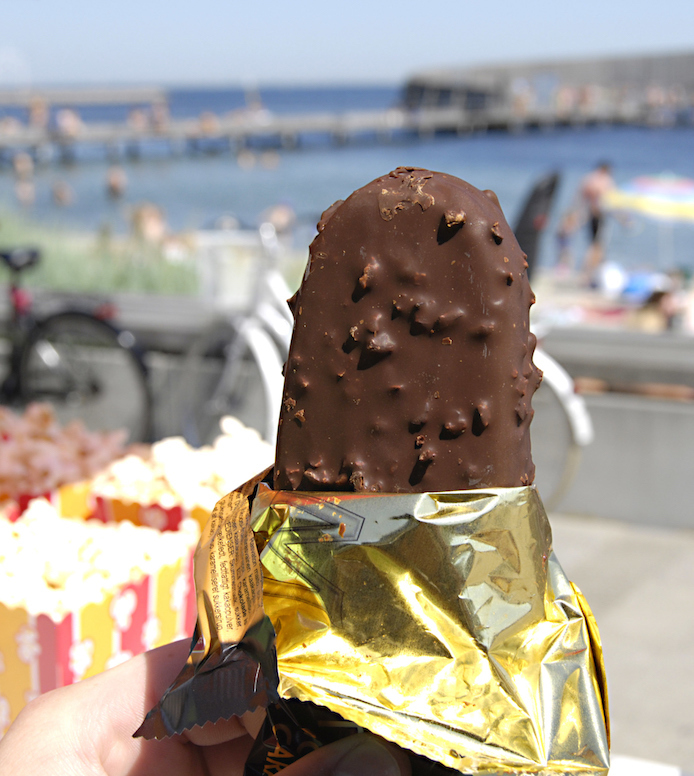 It’s long and lovely, with white sand, occasional ice cream stalls, clear water and views across to Sweden. You can spend a lovely day here, especially if you have a bike, skateboard or scooters, as the beach path is really smooth. 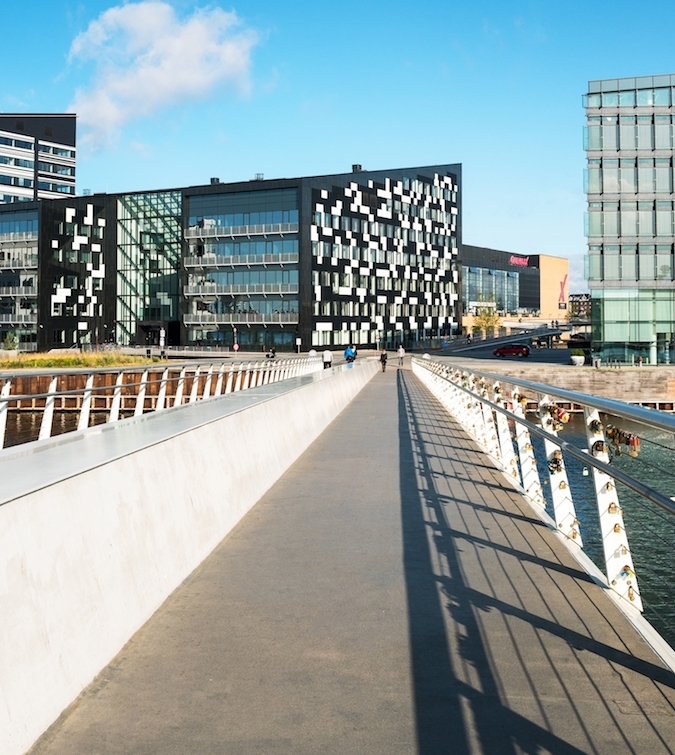 It leads along to the Kastrup Sea Baths at the end, a gorgeous sheltered sculptural enclosure where you can swim and sunbathe or just take pictures to share on Instagram. 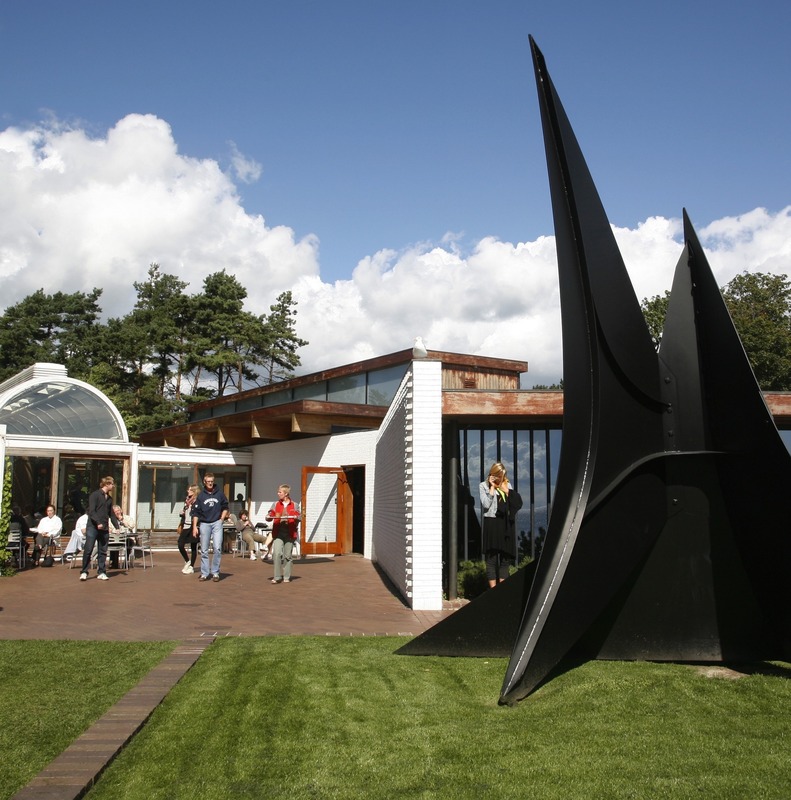 This incredible modern art gallery is in Humlebæk, a short train ride from the city, and is really worth the effort. Set in beautiful gardens studded with sculptures from the likes of Henry Moore and Jean Dubuffet, it is huge and filled with treasures. Even the shop is beautiful. It has a special wing just for families — there, you can experiment with art yourselves over three floors (and yes, there are aprons, so the mess is a bit contained). It’s impossible not to feel inspired here. 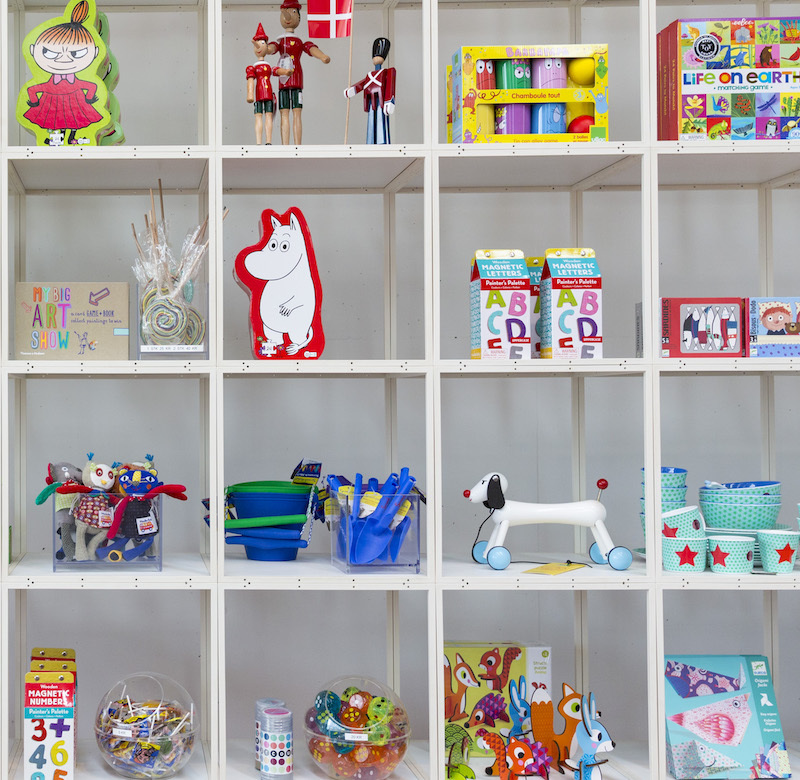 And while you’re on a modern art kick, the Arken Museum is also a gem; it’s not as big as the Louisiana, but has a cool room where kids can get creative and some of the chicest Copenhagen gifts for kids. This mini theme park is in the heart of the city. You can’t miss it; the golden towers and roller coasters really stand out against the city skyline. If you’ve got older children, they will love it — buy a day pass and try everything. You can apparently see Sweden from the top of the towers. If your children are under 5, it’s better to buy tickets to the rides as you go along. Little ones like mine will probably spend most of their time in the playground — and will likely be too small for a lot of the rides. We love to eat toffee apples, climb aboard the pirate ship restaurant just for fun and wander the grounds in search of peacocks. A lot of people bring a picnic with them to the zoo, but there’s also a great café just on the way in called Konnild’s — complete with a Scandinavian buffet of meat, cheese, freshly baked bread, waffles and fruit. It’s good for all ages. If you arrive by bike or bus but have a small child with you, don’t worry. You won’t have to carry them around the whole zoo; just rent a small wagon on your way in, and you can pull them and any picnic gear around with ease. Food market Torvehallerne is a great place to head for lunch. It’s a collective of up-market food stalls and is always good for ice cream, people-watching and families in which everyone wants to eat something different. 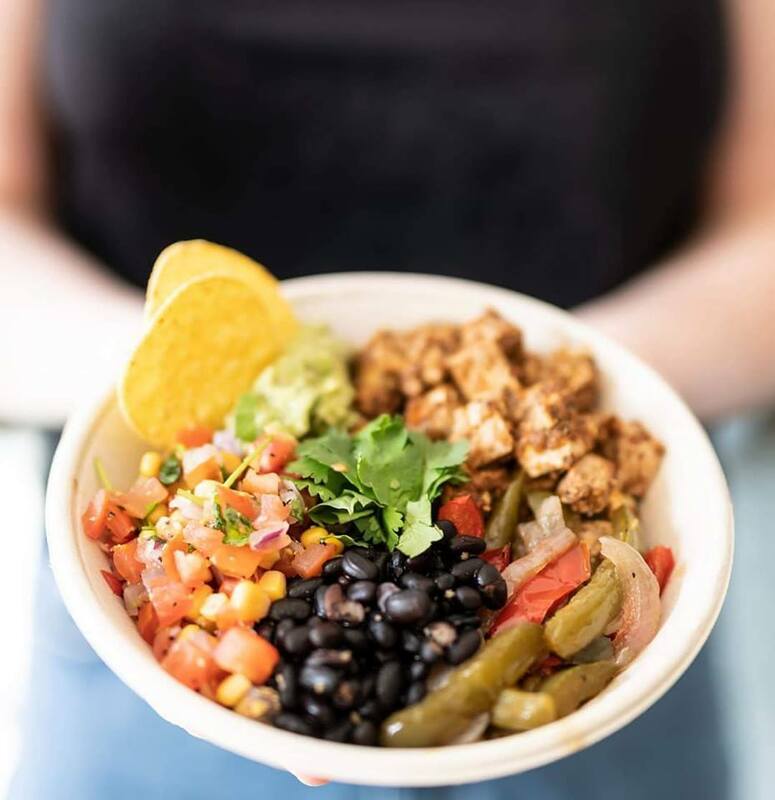 You can find pizza, Brazilian food, Italian food, tapas, smørrebrød and much more — and you can all eat them together on a wooden table in the sunshine. If you like that kind of thing, a new food market called Broens Gadekøkken opened in spring 2018, and it’s another option like this, where you can eat street food in the open air (just across the main bridge from Nyhavn in the heart of the city). No trip to Copenhagen is complete without a visit to at least two playgrounds every day. This is where renting a bike will help you out — by cycling the city, you’ll see snatches of colorful playgrounds, sandboxes and more irresistible spots. I have yet to find a Copenhagen playground I haven’t liked. Many of them are staffed and have a selection of bikes and trikes to play on as well as play structures; some also have animals and an indoor space if it’s raining. 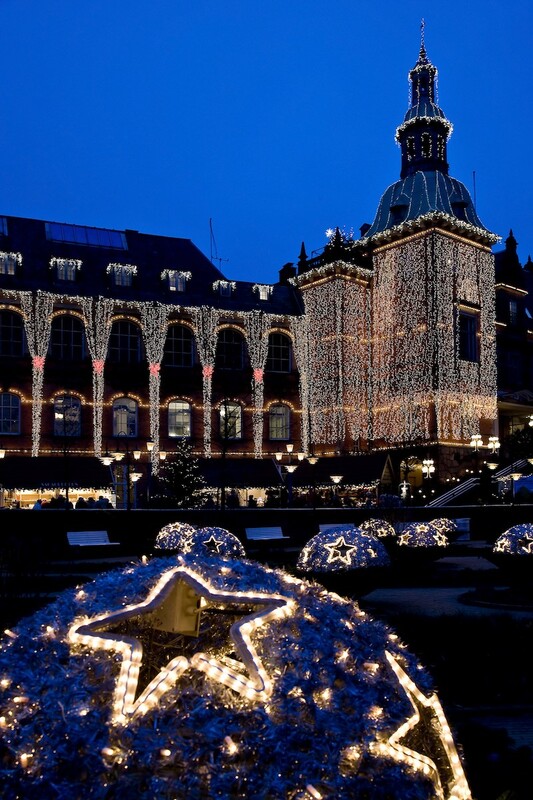 Some of our favorites include The King’s Garden, which has a dragon-themed play area, Skydebanehaven, which has a huge parrot slide and a coffee shop, and Fælledparken, where the kids can try cycling in a traffic light-themed zone, bounce on trampolines or play with a replica of the city’s skyline. On a cold, wet day, you’re going to want to have some indoor ideas to entertain the family. (And up here in Northern Europe, it isn’t always sunny.) Grab yourselves a slice of culture at the National Museum on Ny Vestergade; here, you can marvel at Viking gold and runic stones, but more important, do lots of dressing up in the children’s museum section, which is basically an indoor playground for kids. The whole museum could keep you busy for well over half a day (and there’s a picnic room if you want to bring something to eat too). The nearest outdoor playground to the museum, if the skies clear up later in the day, is just around the corner at Blox, the city’s new architecture center. An alternative rainy-day spot is at Kube in Frederiksberg. 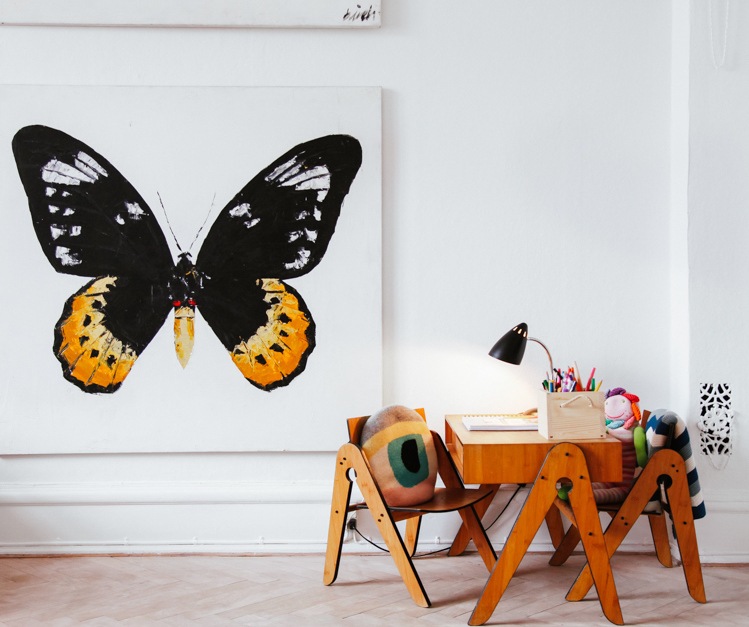 Copenhagen certainly isn’t lacking in well-reviewed hotels, but my personal (albeit biased) recommendation for families is always going to be one of Copenhagen’s gorgeous Kid & Coe rental properties. 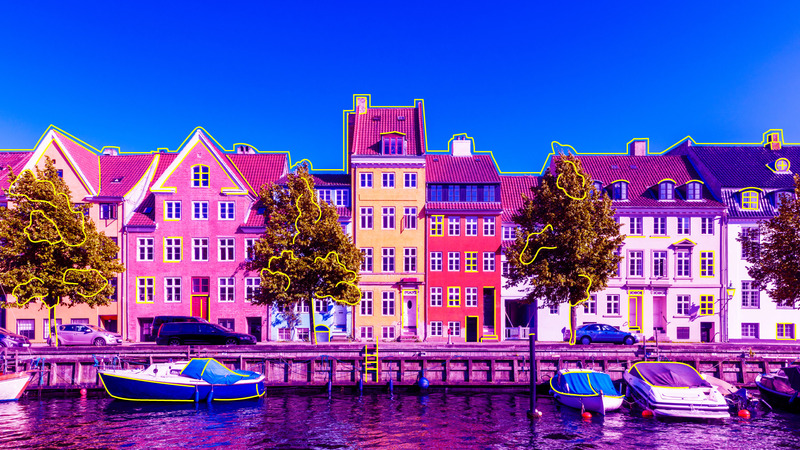 While Copenhagen isn’t the biggest city around — nor is it one of the world’s most epic sightseeing capitals — it has great livability and an unparalleled artsy, green and design-focused vibe. Plus, it’s a very relaxing capital city to experience — yes, even with small children. I’m hoping you feel inspired to visit, because it’s a truly fun place to be.